At sunrise this morning, dozens of Musqueam First Nation Band members and supporters gathered to halt condominium construction threatening the ancient village and midden site of c̓əsnaʔəm. 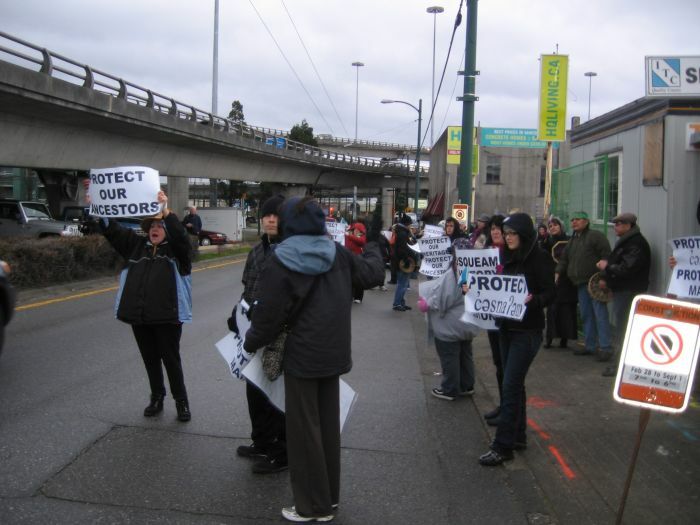 The demonstrators prevented contractors from entering the site, located near the northern end of the Arthur Laing bridge in the Marpole neighbourhood, on the southern edge of Vancouver. "We're basically here to protect our ancestors and to raise awareness about this important site - which is important to all Canadians - facing destruction," Musqueam Band member and demonstration media spokesperson Aaron Wilson told the Vancouver Media Co-op. Archaeological evidence shows that c̓əsnaʔəm, the village and midden site also known as the Marpole Midden and the Great Fraser Midden, was continuously occupied for more than four thousand years. The midden - layers of remnants (tools, shells, carvings, etc) left from a settlement - also includes intact burial sites. Archaeologist Herman Leisk estimated that 750 burials were found during digs between 1927 and 1933 alone. 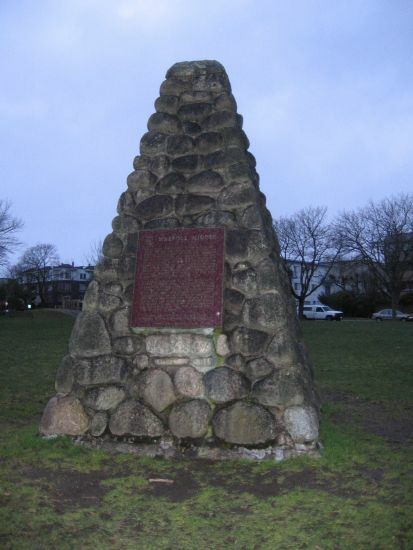 In 1933, the Government of Canada established the Marpole Midden National Historic Site of Canada, recognizing it as "the site of one of the largest pre-contact middens on the Pacific coast of Canada." Despite the federal designation and the existence of the provincial Heritage Conservation Act, the Archaeology Branch of the BC Ministry of Forests, Lands and Natural Resource Operations issued a permit for the construction of the condominium project. "It is an ancestral village," Musqueam Band Manager Ken McGregor explained to the Vancouver Media Co-op via telephone. "There's a very strong spiritual and cultural connection to the site for the Musqueam People. The site is considered sacred. The remains of many ancestors are buried there." "It dates back to before the pyramids," emphasized McGregor. HQ Living, the condominium development at 1338 SW Marine Drive threatening c̓əsnaʔəm, is described by developer Century Group and marketing firm Magnum Projects as a 5-storey mixed-use concrete building. Prices for the HQ Living one and two-bedroom residential suites in the 22,000-strong largely working class neighbourhood of Marpole range from $229,900 to $499,900. 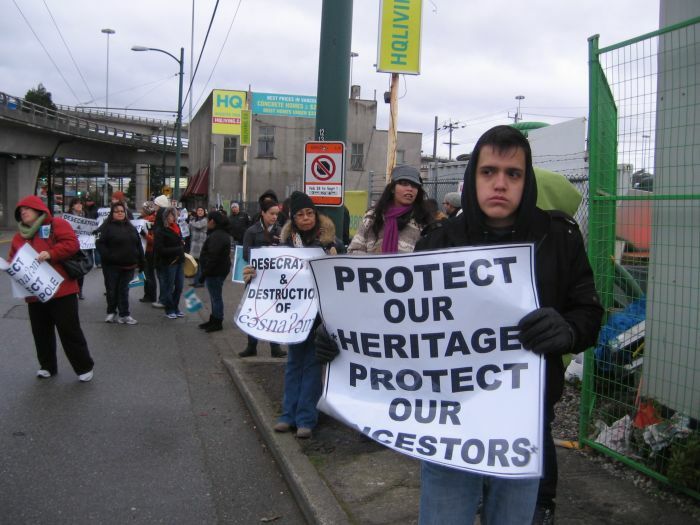 On March 5, 2012, a Musqueam First Nation Chief and Council meeting unanimously passed a motion speaking to the need for dialogue concerning the development, and requesting that the developer cease and desist work until a joint resolution can be found. "We have been meeting with the province and the city," said McGregor, adding that the Musqueam Band has requested meetings with the developer in the past. "To date, we've been unsuccessful in arranging the meeting," but the Band anticipates that one will take place at some point this week. Century Group did not respond to a request for comment by press time. 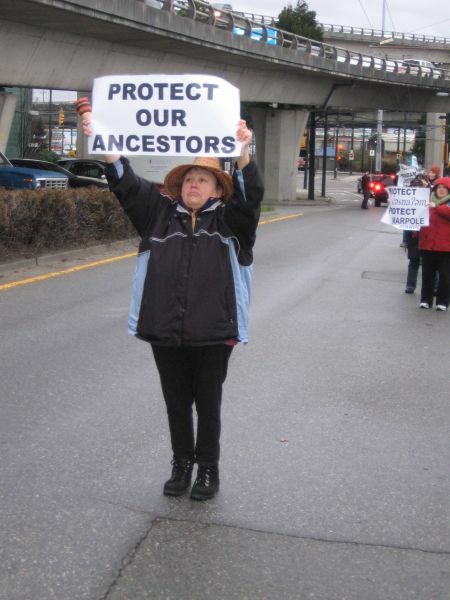 "Most of the traditional land of the Musqueam has been paved and developed. There's not much left," said McGregor. The Musqueam Band owns in fee simple the Fraser Arms hotel property along SW Marine Drive, at one end of the Marpole midden. The Band hopes to one day create a cultural park to protect the site and provide education about the area's cultural heritage. "[People] can learn more about this village site. They can educate themselves," said Wilson, regarding what actions Vancouver residents and others can take. Organizers are also requesting that people send letters to the BC Ministry of Forests, Lands and Natural Resource Operations, requesting a halt to the development. Musqueam community organizers are hoping to maintain a continuous presence throughout the week at the proposed HQ Living site, at 1338 SW Marine Drive. Updates can be found on the "STOP the destruction of the village and midden site of c̓əsnaʔəm (Marpole)" facebook event page.